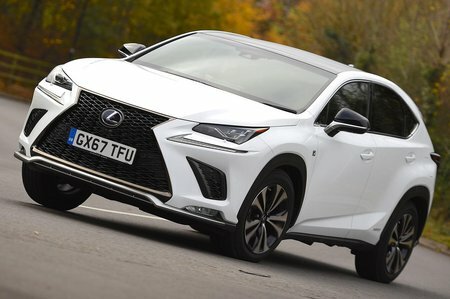 Lexus likes to do things a little differently to its premium rivals. 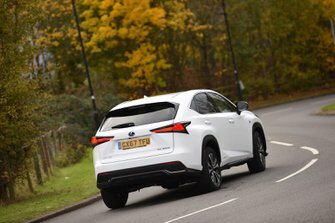 Instead of being predictable and dropping a diesel engine into the NX300h, it relies on hybrid power to bring down running costs. Under the bonnet is a 2.5-litre petrol engine with an electric motor and battery pack. This helps reduce carbon emissions, making it a tempting choice for business users. Even if you don’t like the looks, they are certainly distinctive, helping it stand out from rivals such as the Audi Q5, Volvo XC60 and Mercedes GLC in your local Waitrose car park. All versions get an automatic gearbox while only the entry-level SE model misses out on four-wheel drive. Keep reading for more details on the driving experience, interior and running costs.